A recent study indicates that kids who read Harry Potter have a better sense of empathy for the disenfranchised. Why am I not surprised at all? What we read makes us who we are. Stepping into another person's shoes gives us empathy and understanding. For Harry's birthday, I thought I'd enumerate some of the important messages kids can learn from Harry Potter. Some of these are very grown up concepts, eschewing idealism for realism, echoing difficult history and difficult truths. The world is a gray place, and Rowling was determined to show it. Sirius Black was locked away in Azkaban for years because by all appearances he had callously murdered innocents. Hermione proved again and again that you don't have to be "pure-blooded" to be a fan-freaking-tastic magician. The Death-Eaters obsession with "pure-blooded" wizards echoes Hitler's obsession with the perfect race. Rita Skeeter was always more interested in creating scandal than she was in reporting the truth. The Minister of Magic chose to ignore Harry's story about the return of Voldemort because it was easier to do so. I kept hoping that some of the dead characters weren't really dead, but Rowling forced us to deal with loss in a realistic way. There is no Gandalf the White here. It wasn't a pretty moment, but when Ron succumbed to the jealousy he's always struggled with, and walked out on Harry and Hermione in The Deathly Hallows, Harry had to try to do without him. Dobby and the other house-elves proved that they had abilities and magic the Death Eaters underestimated. Lucius Malfoy and the other Death Eaters are a disturbing example of what bullies can become if unchecked. Severus Snape never loved Harry, but he saved his life again and again, at his own peril. Last year, I started a query tutorial using Harry Potter as an example. Looking back on it, the end result wasn't as polished as it could be. So I'm here to add a fourth step: POLISH—with a goal toward readability. Step 4: Polish with a goal toward readability. Agents often tell us they spend less than sixty seconds on each query. Therefore, your sentences should read easily and the meaning should be clear without backtracking. Below, I've taken another stab at the Harry Potter example. I've broken down long sentences, added paragraph breaks, rearranged the order of clauses. All with one goal in mind: readability. Harry Potter arrived on his relatives' doorstep as a baby with a lightning-shaped scar on his tiny forehead. He's been sleeping in a cupboard ever since. Although his aunt and uncle spoil their own son Dudley, they've never offered Harry the same treatment. Yet on his eleventh birthday, Harry receives something special: a letter from a school called Hogwarts, claiming that he is a wizard. The Hogwarts School of Witchcraft and Wizardry introduces Harry to a world of potions, magic wands, and quidditch—a sport played on flying broomsticks. 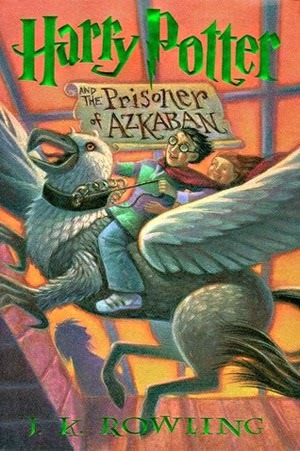 But in an area forbidden to students, Harry also discovers a three-headed dog guarding a trapdoor. Apparently, his teachers aren't telling him everything. Harry and his friends are determined to find out what might be valuable enough for such drastic security measures—and what it might have to do with a break-in at the wizard bank, a professor's mangled leg, and a troll set loose in the school. 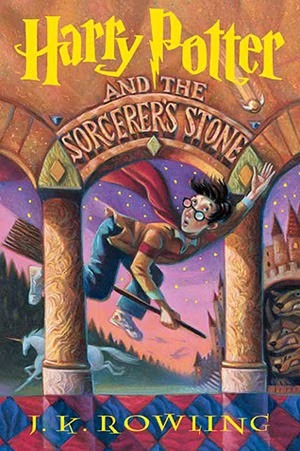 When his old scar begins to burn, Harry wonders if he should heed the warning to keep his friends out of danger. But perhaps true friendship means they must risk everything together—including their lives—to keep their newfound home at Hogwarts safe. What do you think? Hopefully this is easier to digest. Word count: 200.